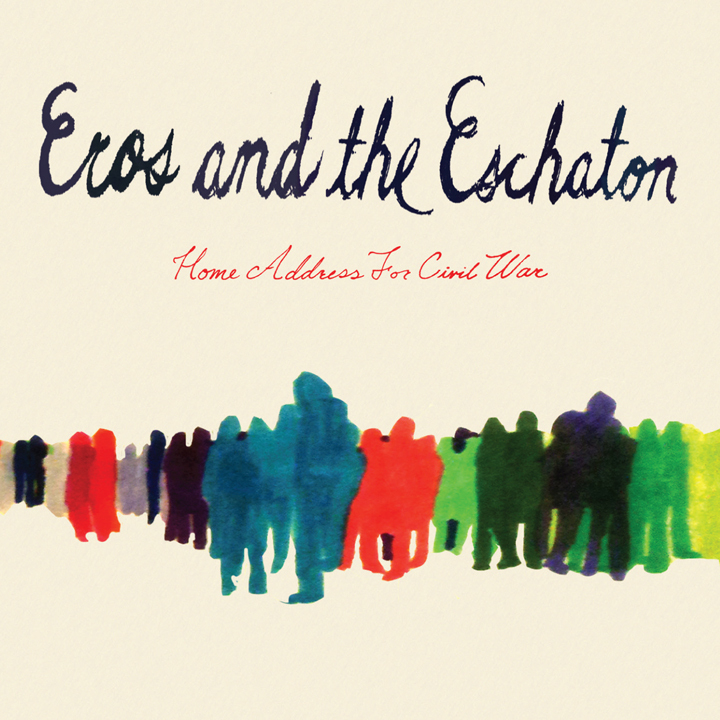 Whether it is Eros or the Eschaton who is primarily responsible for the group’s album, Home Address for Civil War, they’ve done a bang-up job. It’s not easy standing out in the naval-gazing genre these days, since every new band wants to sound like Brooklynites who don’t care about song structure or discernible lyrics. Yet this North Carolinan duo pulls it off with their fuzzy guitars and diverse rhythm section keeping time. The standout track on the album is, “Don’t. Look. So. Sad.”, which features beautiful melodies over an increasingly static-y and menacing instrumental track. The crescendo in this song (which is equally, and conscientiously, present in all of their songs) brings the listener along with the rising tension in the music, and makes it quite easy for the audience to not look. so. sad. The first single off the album, “Heaven Inside,” contains production reminiscent of M83 as it sounds like the band is taking the listener on a stroll through one of Eschatron’s dreams. What the song lacks in melody it makes up for in conviction: Eros and the Eschaton have chosen a specific aesthetic, and they’ll be damned if one of their songs will stray from that. It’s difficult picking two songs from the album to focus on, because it is not an album that lends itself to singles. Home Address for Civil War is best listened to in full format, either on a long road trip or a lazy Sunday cleaning the house. It’s great background music, because you can pleasantly enjoy it while thinking of something else, or tune your mind into it for a few seconds at a time to appreciate the layered sounds the band has accomplished. For a debut album, it is difficult to ask for much more.